The Powerkrush 85 static compactor is an extremely powerful compactor designed for heavy industrial use. It is ideal for cardboard and large particle size waste that is loaded by hand, fork lift truck or wheeled bin. The compactor can be fitted with other ancillary equipment such as bin tipper and bespoke hopper. 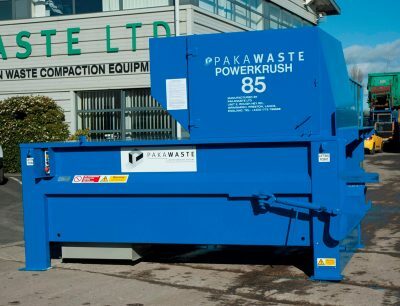 For more information our waste handling equipment, contact Pakawaste today.